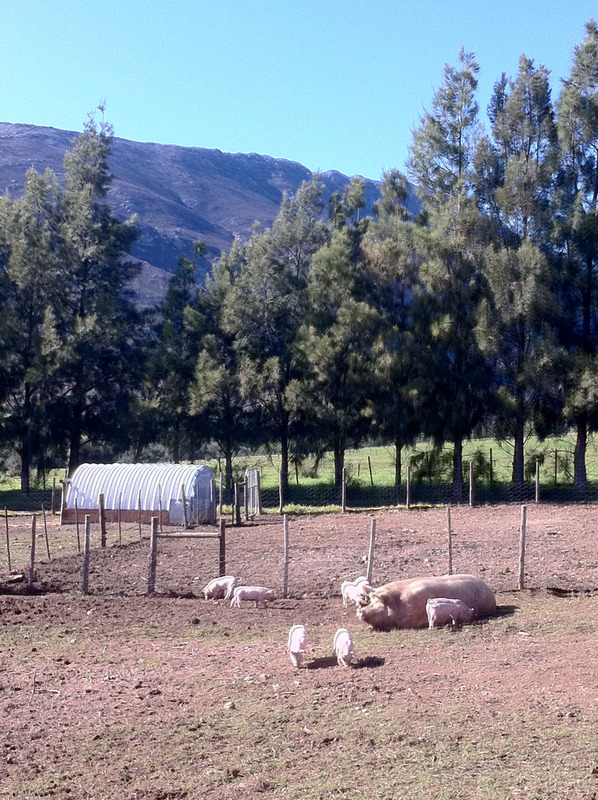 A beautiful day in the Overberg and having to prepare daily breakfasts means that we grab the opportunity of sunny weather to hop over to Happy Hog for some free-range organic bacon. Not only is the drive beautiful in any weather and at any time of the year, the destination is made all the more happy when there are piglets playing around. 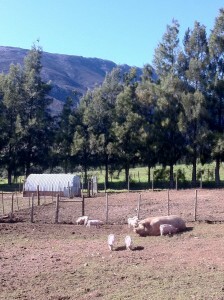 When taking the R60 to Swellendam, stopping at the Happy Hog is a great way to spend an hour and just next door is the stylish cheese and wine tasting room, Montagne Deli. Standing on the deck of Montagne Deli, at the foot of the Langeberg Mountain one is captured by the scenic events of nature’s best qualities. Adding to the experience one can enjoy the combination of South Africa’s best cheeses and wine selected from the Van Loveren cellar and the La Mont cheese factory.